Japan-Based Tamron introduced their new 70-300 mm F/4-5.6 telephoto zoom lens that includes features like image stabilization and an ultrasonic auto-focus drive. The new telephoto zoom lens is manufactured to be compatible with a Nikon mount, but Canon and Sony mounts compatibility will follow soon. The Tamron SP 70-300 mm F/4-5.6 Di VC USD, Model A005, is designed for digital SLR camera but can also be used with both full-frame sensor and AF 35 mm cameras with a zoom range of 70-300 mm, as well as APS-C Sensor cameras. 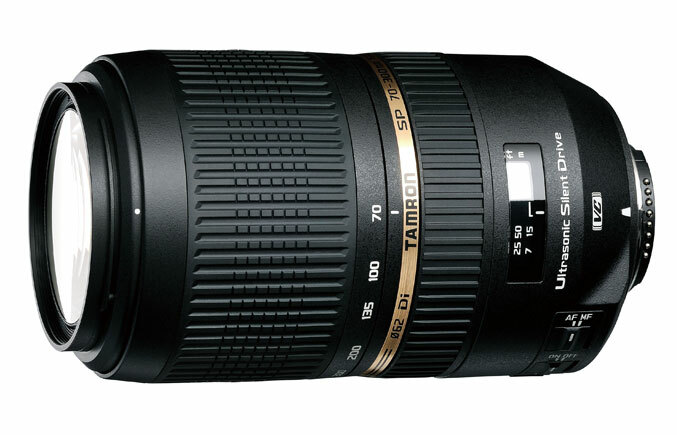 The new telephoto zoom lens by Tamron is optimized for digital cameras in the 70-300 mm class and includes specialized elements like the extra low dispersion lens in order to prevent chromatic aberration. The SP 70-300 mm F/4-5.6 Di VC USD, Model A005 comes with features like Tamron’s VC image stabilization system, thanks to which full time manual focus, better balance, internal focusing and consistent length is possible. The telephoto zoom lens is also paired with Tamron’s USD and VC, providing high-end performance coupled with a beautiful exterior design.